You are here: Home » Social Security Disability » How To Win Your Hearing » How long does it take to get a hearing decision and to start collecting Social Security Disability or SSI benefits? 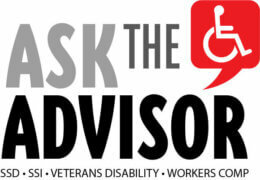 How long does it take to get a hearing decision and to start collecting Social Security Disability or SSI benefits? Find out how long you’ll wait for a decision after your hearing and, if approved, when you will start collecting Social Security Disability benefits. If your initial claim was denied and you either filed a reconsideration appeal and it was denied or you live in one of the few parts of the country that does not have a reconsideration appeal level and you believe you are disabled according to Social Security law, your next step is to request a hearing on SSA-501 form. You must file your hearing request within sixty days of receiving the prior denial, which is considered to be sixty-five days from the date on the written denial notice. (An extra five days is allowed for the notice to reach you through the mail.) This means that Social Security must receive your request within sixty-five days. Although the window for filing the hearing request is short, the wait for being assigned a hearing date ranges from long to very long—typically twelve to eighteen months and in some areas as much as two years. The variation in wait times from one Office of Disability Adjudication and Review (ODAR) (aka hearing office) to another is related to how many hearing requests are processed through a specific hearing office and the number of judges available in each office. Social Security publishes a list of statistics on average hearing date wait periods for all the hearing offices. The list, which is organized alphabetically by the city in which the ODAR office is situated can be found at https://www.ssa.gov/appeals/DataSets/01_NetStat_Report.html. Statistics show that each Administrative Law Judge clears two or less hearing decisions a day. Average processing times from request for hearing to the issuance of a decision letter from mid-2017 through mid-2018 ranged from 144 to 855 days with most falling in the 400 to 680-day range (13 months to a little less than two years). Here’s an example: The Spokane, Washington ODAR averages 504 days from request to decision letter being mailed. The office’s average waiting period to the day of the hearing is 16 months. Because we are calculating estimates, we do not have to be exact, so we multiply 16 months times 30 days to arrive at an average hearing date waiting time of 480 days. If every claim were on average, you would be sent a decision from the Spokane ODAR within 24 days of the hearing (504 – 480). Of course, averages are made up by extremes on both ends. The guideline for judges to complete hearing decisions is sixty days and many decisions are made in that time frame or less; a substantial number of others take ninety days or more. If sixty days have passed since your hearing and you have not received a decision, you can follow up on your disability claim status by calling your ODAR to inquire where your claim is in the post-hearing appeals process. Your ODAR’s phone number can be found on the letter notifying you of your hearing date. If you experience dire financial need while waiting for a hearing date or for a decision after the hearing, such as eviction or foreclosure proceedings, homelessness, or the inability to receive medical treatment for a life-threatening illness, you can submit a statement of dire need with a request for expedited handling. If you do so, be sure to attach copies of documents to support your statement. If the dire need statement is accepted as valid, your hearing request or decision will be moved up in line but still behind all the dire need requests submitted before yours. Post-hearing processing consists of three general steps: the judge makes the decision; the decision is communicated to the decision letter writing department where it is assigned to a writer; and once the letter is written, it is sent to the judge for review and signature before it is sent to you. If the judge finds an error in the letter, fourth and fifth steps are added: the letter is returned for editing (correcting) and then is sent back to the judge for second review and signature. At the hearing, the judge may hold the record open for you to submit additional documentation either at your (or your attorney’s) request or at the judge’s request. Submission of additional information, of course, extends the amount of time before the decision is made. The letter writing phase can be prolonged if the office has a large volume of decisions backed up waiting for letters. In that case, your appeal may sit in the writing department for a while before being assigned to a writer and having the letter written. In a small percentage of appeals, the ALJ will make a bench decision to approve your claim, meaning that the judge says at the end of the hearing that he or she is approving your claim. However, even with a bench decision, the judge has to prepare a detailed written decision to approve the claim and the letter has to be written and approved; so a bench decision may not speed up your receipt of a formal decision and payment action is not initiated until the formal decision letter has been sent. Also, note that in most appeals, the judge will not make a bench decision at the hearing. When you receive your hearing decision letter, the letter will tell you in great detail whether your claim has been denied or has been approved as fully favorable or partially favorable. Fully favorable means that the judge accepted and established as your disability date the date you claimed and that the judge determined that you continue to be disabled. A partially favorable decision means that either the date of disability established by the judge is after the date you claimed or the judge has determined that you have recovered from your disability or both. In the former situation, benefits will begin later than they would have if your claimed date of disability had been accepted. In the second circumstance, no ongoing benefits will be payable and you will receive only one single payment of back benefits. How soon you receive benefits and which office handles getting payments started depends on the type of benefit claim you filed and appealed: Social Security Disability (SSDI) or Supplemental Security Income (SSI). If you were approved for Social Security Disability (SSDI), your SSDI claim will be processed to payment by a central payment center, where a benefit authorizer will double check that you were insured on your established date of disability; calculate your benefit amount applying any offsets you might have such as SSI (see below), workers compensation, state disability insurance (SDI) or certain public pensions; and authorize payment. Receiving the first monthly benefit payment can take from three weeks to two months or more from the date of the decision letter. Back pay is typically paid a month or more after the first monthly benefit. The larger the number of back benefits payable, the longer payment can take. Very high back pay claims have to be reviewed and approved by more than one approver. If you have eligible dependents and you have worked enough that your family maximum benefit (FMB) is higher than the amount payable to you, Social Security will also take an application for your dependents to receive benefits. For information about whether your family qualifies for Social Security dependent benefits, visit our article Can My Spouse and Children Get Benefits If I Am Approved for Social Security Disability? If you were approved for Supplemental Security Income (SSI), your local Social Security office will calculate and authorize SSI payments. Before payment can be calculated, a financial update will be needed from you. The update is an in-office or telephone interview called a Pre-effectuation Review Conference (PERC). The local office will contact you to set up a date for the interview. During the PERC, you will be asked to provide information about and documentation for your living arrangements, income, and resources for all months back to the date of your medically approved SSI application. Because SSI benefits are calculated month-by-month, your back benefits may differ from month to month. Usually, you will receive your monthly SSI benefit and the first installment of your SSI back pay (see below) with a month of the update interview and submission of any requested documents. Note: if you have not been contacted for a PERC within two weeks of receiving your hearing approval letter, call your local office to request an appointment for the interview. If you were approved for both SSDI and SSI benefits, the SSDI benefit calculation will be deferred until your SSI benefits have been calculated and will start a month to two months after SSI processing has been completed. SSDI back benefits will be reduced by the amount of SSI benefits payable for the months in which SSDI and SSI eligibility overlaps. Note that SSDI is not income for SSI until it is actually received, so even if your SSDI is more than your SSI, you may be eligible for SSI all the way back to the date you filed the claim. Typically SSI back pay is paid in up to three installments six months apart with the first two not to exceed three times the maximum SSI Federal Benefit Rate. In 2018, that amount is $2,250. However, if after your Social Security starts and you are no longer eligible for SSI due to your ongoing SSDI benefit, you can request the remaining SSI installments to be released as soon as the SSDI starts. Similarly, if you are expected to be ineligible for twelve months due to another reason or your disability is expected to result in death within twelve months, you can request that all SSI back pay be released in a single payment. Making the request in writing will reduce potential oversight of your request. Even if your SSI benefits will be ongoing to supplement a limited SSDI payment, you may also be able to get an early release of part or all of later installments if you have a compelling need for more than the initial installment. For example, if you need the money to pay the down payment on a house or to buy a car for medical transportation, or to catch up past-due rent or mortgage to avoid eviction or foreclosure, or to keep utilities from being cut off, or to pay past-due medical bills or to pay for needed medical care, you may be successful in getting additional funds released before the installment due dates. If any of these circumstances apply to you, you can submit a written petition for the release of funds. Be prepared to provide documentation of the dollar amount needed in the form of past-due notices and written estimates. If the administrative law judge denies your claim for Social Security Disability and/or SSI benefits and you think that a procedural error may have been made, you can appeal. Information about appealing a hearing denial can be found in our article What Is a Social Security Appeals Council Review and What Can I Do If the Appeals Council Denies My Claim? If I request a Social Security Disability hearing and have a lawyer do I have to attend the hearing? How can I help my claim while I wait for a hearing date? What is a Social Security Disability hearing, and what can I expect when I request a disability hearing? What is an administrative law judge and what do they do at Social Security disability hearings?